Many riders love riding on the road because they can walk out their front doors, hop on their bikes, and go explore the world. When it comes to racing, many riders want a lightweight and stiff bike. The 2019 Giant TCR Advanced 2 Bike is a stiff and smooth road bike that has an advanced-grade composite frame. The OverDrive steerer system and MegaDrive downtube are designed for precise handling. The Variant seatpost provides a blend of efficiency and compliance. The TCR Advanced 2 comes with a Shimano 105 2x11 drivetrain that shifts smoothly and reliably. It comes with an 11-30 tooth cassette and is combined with a crankset that has 34/50 tooth chainrings so riders can climb efficiently and still sprint on the flats. The Giant PR-2 wheelset is combined with Giant Gavia AC 1 tubeless tires for a smooth ride and low rolling resistance. The TCR has lightweight Shimano 105 rim brakes that offer ample stopping power. 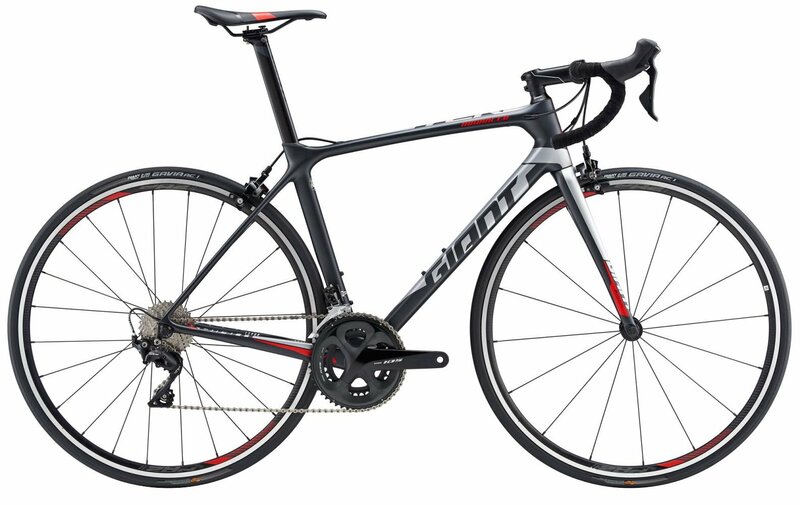 This bike will be perfect for the rider who wants to ride long distances and race.